32 black and white pages filled with pictures to color, activities to do, and lots of 39 Malachot learning! Uses Hebrew, English and Yiddish words. Measures 9 x 12. Great for ages 3-.. 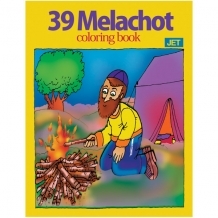 This coloring book comes complete with 20 double sided pages filled with fun illustrations and titles depicting the 39 different Malachot we do not perform on Shabbat. Measures 8.5" x 11..
Connect the dots by following the Aleph Bet in order to create a Jewish object or scene! Then color away! Contains more than 30 connect the dot puzzles! Measures 8.5" x 11". Ag..
32 black and white pages filled with pictures to color, activities to do, and lots of Brachot learning! Uses Hebrew, English and Yiddish words. Measures 9 x 12. Great for ages 3-9. 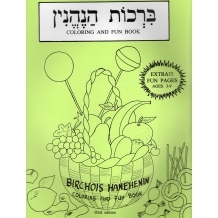 ..
32 black and white pages filled with pictures to color, activities to do, and lots of Birchot Hashachar learning! Uses Hebrew, English and Yiddish words. Measures 9 x 12. Great for a.. 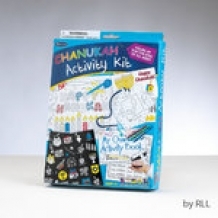 The ultimate Chanukah activity kit with hours of fun! 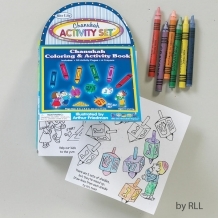 This kit includes: 40 Velvet art color your own stickers, a 5 x 7 activity book with, a Sew your own dreidel pouch, 4 Chanukah postcards, crayo.. 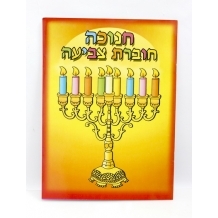 This Chanukah activity book comes in a convenient travel size booklet that measures 5" x 4.5". Enjoy hours of fun doing Chanukah themed mazes, word searches, puzzles, coloring pages, and more! Set .. 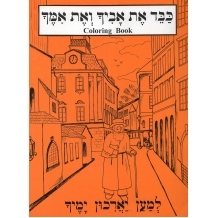 This beautiful Chanukah coloring book features 16 black and white pages filled with coloring pages, mazes and more! 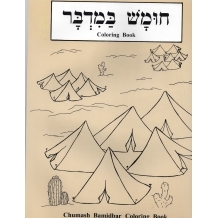 ..
32 black and white pages filled with pictures to color, activities to do, and lots of Chumash Bamidbar learning! Uses Hebrew, English and Yiddish words. Measures 9 x 12. 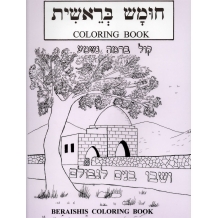 Great for ag..
32 black and white pages filled with pictures to color, activities to do, and lots of Chumash Beraishis earning! Uses Hebrew, English and Yiddish words. Measures 9 x 12. 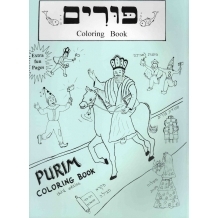 Great for ag..
32 black and white pages filled with pictures to color, activities to do, and lots of Chumash Dvarim learning! Uses Hebrew, English and Yiddish words. Measures 9 x 12. 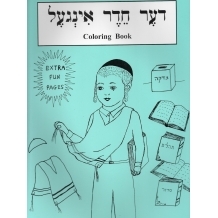 Great for ages..
32 black and white pages filled with pictures to color, activities to do, and lots of Chumash Shmos learning! Uses Hebrew, English and Yiddish words. Measures 9 x 12. 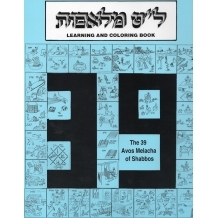 Great for ages ..
32 black and white pages filled with pictures to color, activities to do, and lots of Chumash Vayikra learning! Uses Hebrew, English and Yiddish words. Measures 9 x 12. Great for age..
32 black and white pages filled with pictures to color, activities to do, and lots of learning about going to Cheder! Uses Hebrew, English and Yiddish words. Measures 9 x 12. Great f..
16 Double sided pages of High Holiday fun are included in this activity and coloring book! 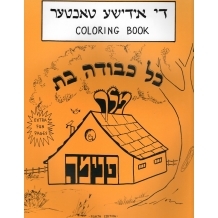 Mazes, Word games, coloring pages, dot-to-dot and picture puzzles make this coloring book as ex..
32 black and white pages filled with pictures to color, activities to do, and lots of Kabed Et Avicha V'et Imecha learning! Uses Hebrew, English and Yiddish words. Measures 9 x 12. G..
32 black and white pages filled with pictures to color, activities to do, and lots of learning about having an Upshern! Uses Hebrew, English and Yiddish words. Measures 9 x 12. 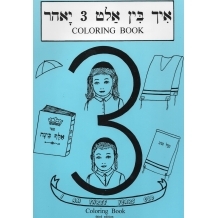 Great..
32 black and white pages filled with pictures to color, activities to do, and lots of learning the best way to be a Jewish Princess! Uses Hebrew, English and Yiddish words. Measures 9 x .. This coloring book contains 15 double sided pages of educational coloring fun! 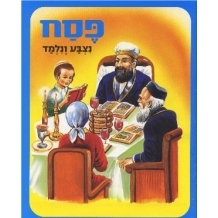 Each page covers different Brachot themes, from Brachot before we eat to Brachot we make on world wonders. 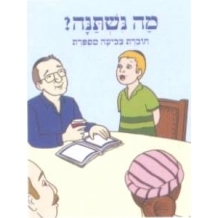 Each page h..
32 pages filled with fun and inventive ways to learn and practice reading and writing the Aleph Bet! Measures 8.5" x 11". Ages 5 and Up. .. 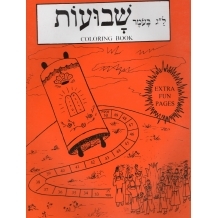 This Shabbat mini activity book has 11 double sided pages filled with word games, dot-to-dots, coloring pages, picture puzzles, mazes and more! 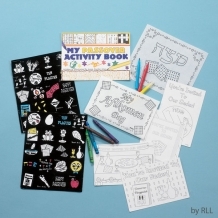 Activity book measures 6" x 4". .. 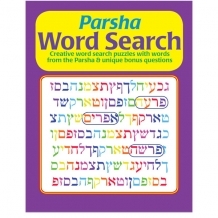 This parsha word search is a challenging activity book that includes more than 50 parsha word search puzzles! Children will also enjoy the brain teaser challenge at the bottom of each pa.. 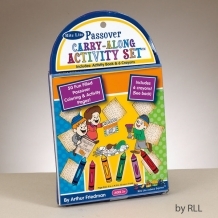 This great activity set is sure to bring hours of fun! 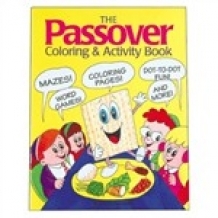 Kit includes an activity book (5x 7 inches), 4 postcards (4 x 6 inches), 40 velvet stickers (2 x 2 inches), a make your own afikoman..
50 fun filled Passover themed coloring and activity pages! Includes 6 colored crayons! Pages measures 5 x 4.5 inches. Great for ages 3 and up. 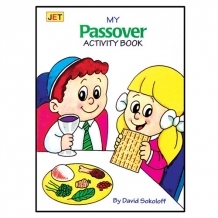 ..
32 pages of fun filled Passover enjoyment! Features coloring pages, mazes, color by number and more! Measures 8.5 x 11 inches. .. 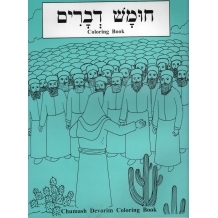 This beautiful coloring book contains black and white colorable pages, as well as full color photos of Passover themes, along with a description on Hebrew and English. 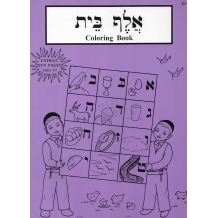 7 double sided page..
Great Passover coloring book filled with Passover symbols and themes. Measures 8.5 x 11 inches. .. 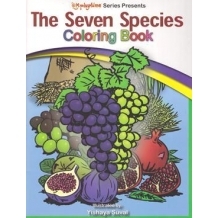 Features a colorful activity book filled with coloring pages, mazes, color by number and more! Measures 4 x 6 inches. 24 pages. .. 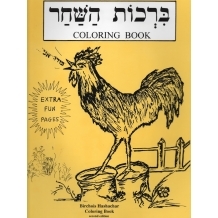 This coloring book is a wonderful enjoyable learning experience for any young child! 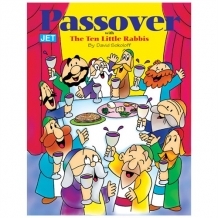 Filled with simple yet fun drawings for different parts of the Seder night. .. 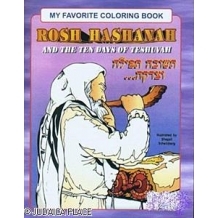 This coloring book includes coloring pages, blessings, and other information about celebrating Passover. Measures 8.5 x 11 inches. 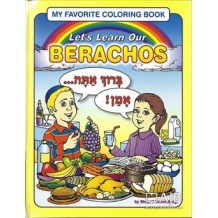 ..
32 black and white pages filled with pictures to color, activities to do, and lots of Pesach learning! Uses Hebrew, English and Yiddish words. Measures 9 x 12. Great for ages 3-9. 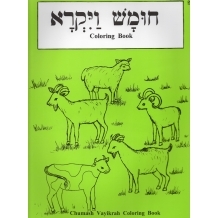 ..
With a wonderful twist on the traditional coloring book, this Seven Species of Isreal coloring book contains 7 double sided pages featuring the 7 different Seven species and their Hebrew names! 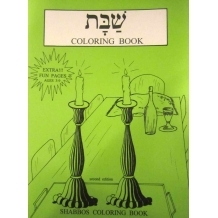 The..
32 black and white pages filled with pictures to color, activities to do, and lots of Shabbat learning! Uses Hebrew, English and Yiddish words. Measures 9 x 12. Great for ages 3-9. 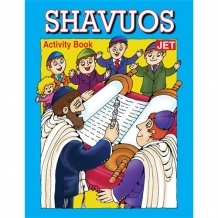 ..
16 double sided pages of Shavuot fun! Coloring pages, mazes, dot to dot and more! Great for ages 3 and up. Measures 8.5 x 11 inches. 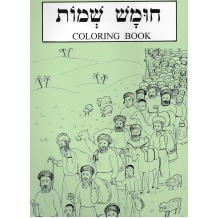 ..
32 black and white pages filled with pictures to color, activities to do, and lots of Shavuot learning! Uses Hebrew, English and Yiddish words. Measures 9 x 12. Great for ages 3-9. 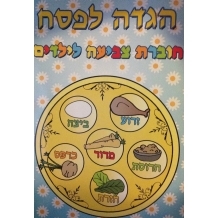 ..
Aaron and Rachel help their parents get the sukkah ready and all the other mitzvos attached to this holidayA fun way to teach young children to the various laws and customs of Sukkot (Sukkos). S.. 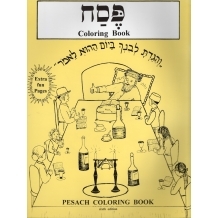 This extra large Passover coloring book is sure to give hours of Passover fun! 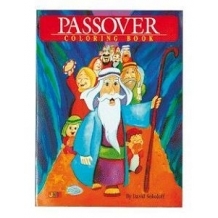 6 double sided pages of Passover coloring pages, and bonus cutouts! Measures 15 x 11.75 inches. ..